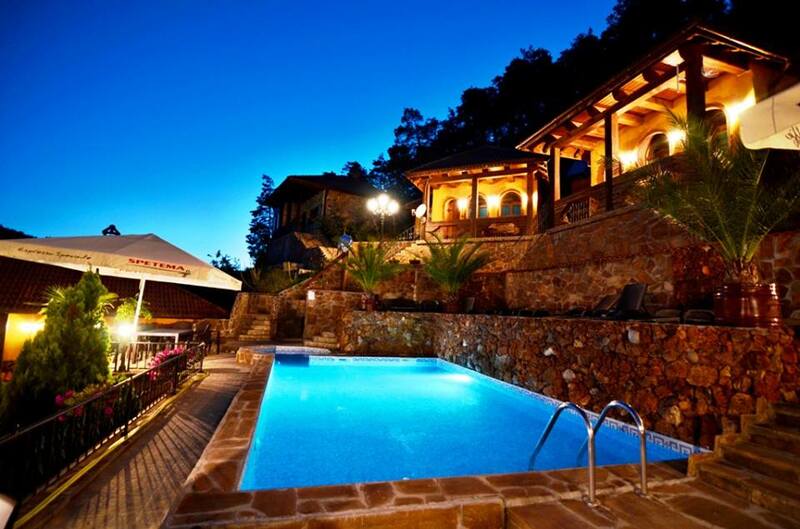 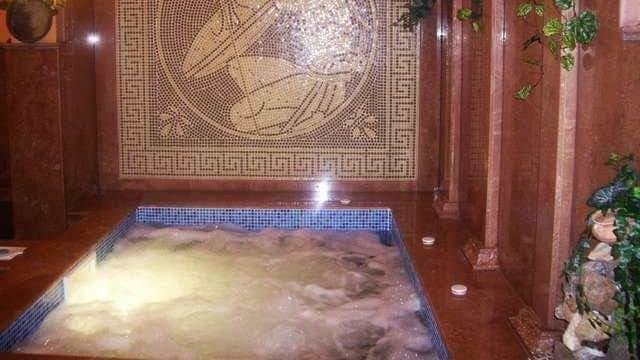 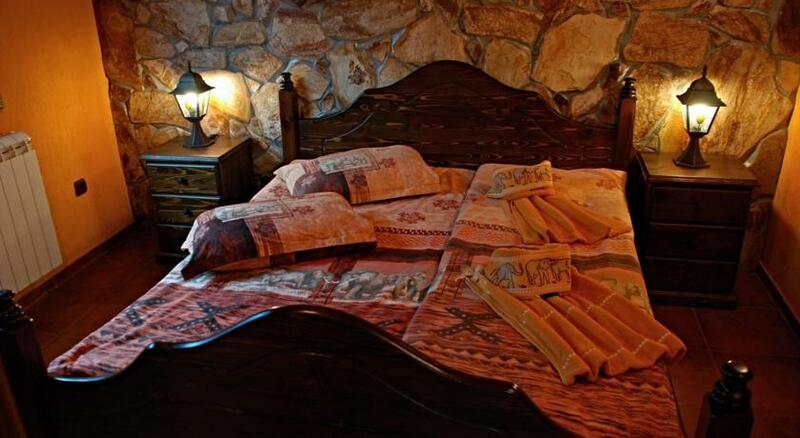 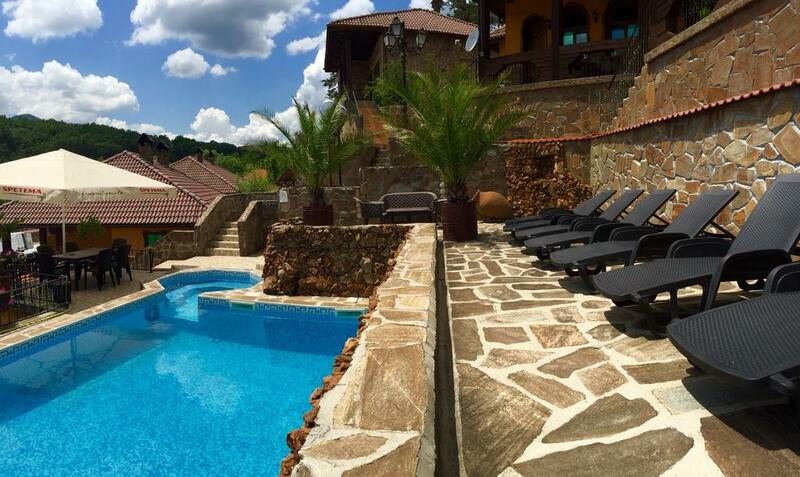 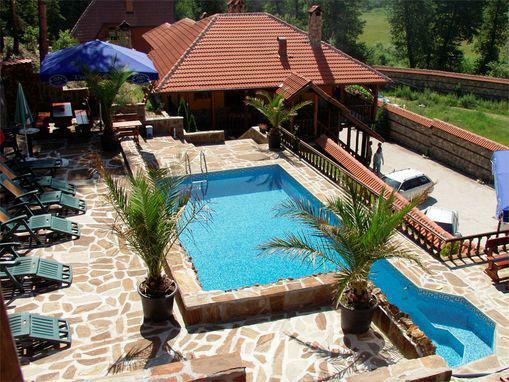 Complex Karina is located in the spa capital of the Balkans Velingrad At the sunniest side of the city. 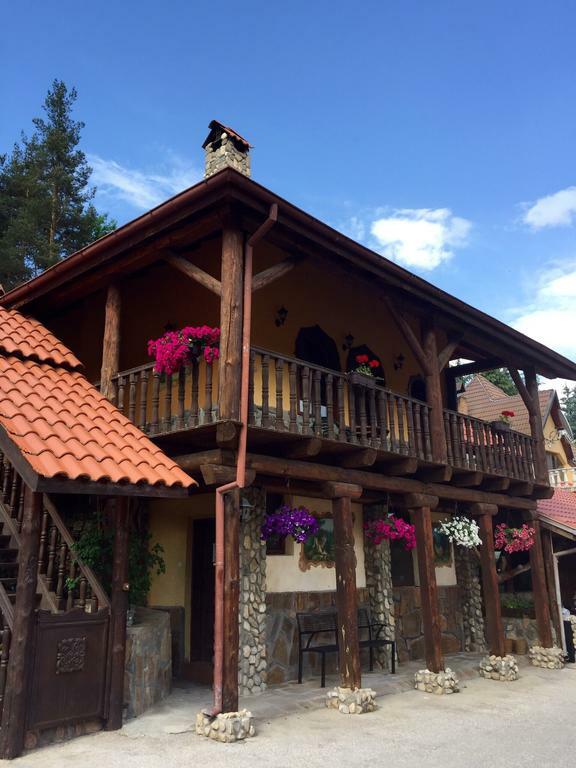 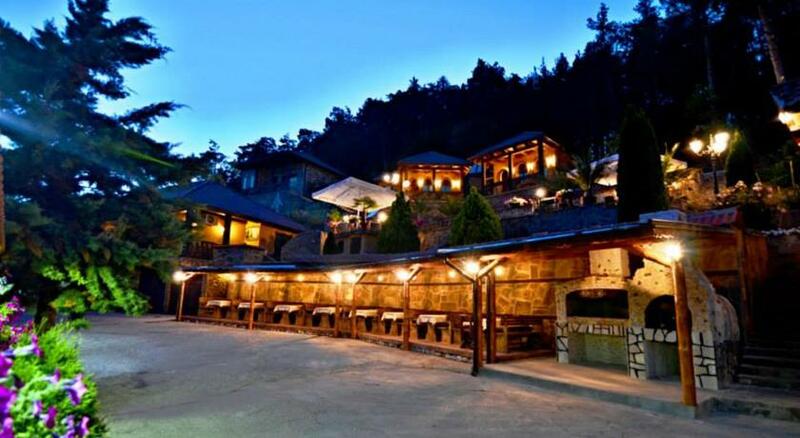 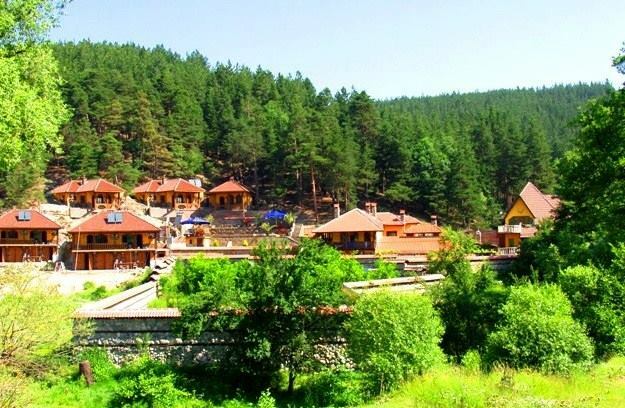 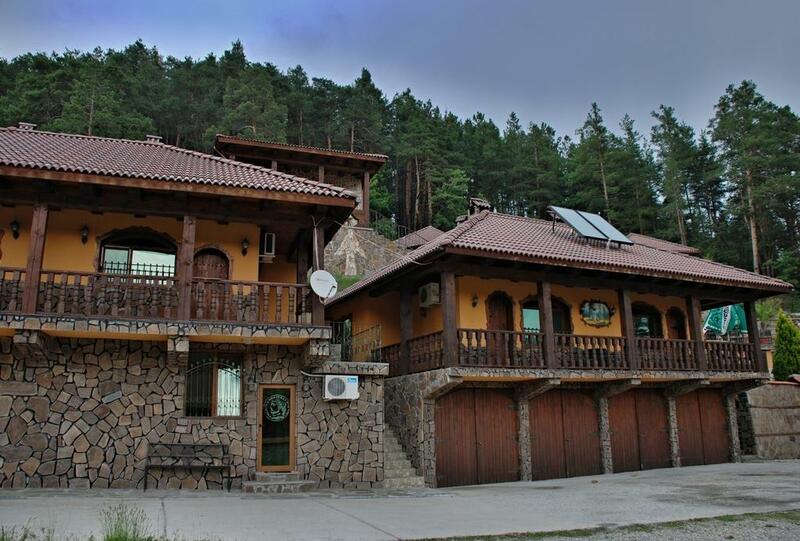 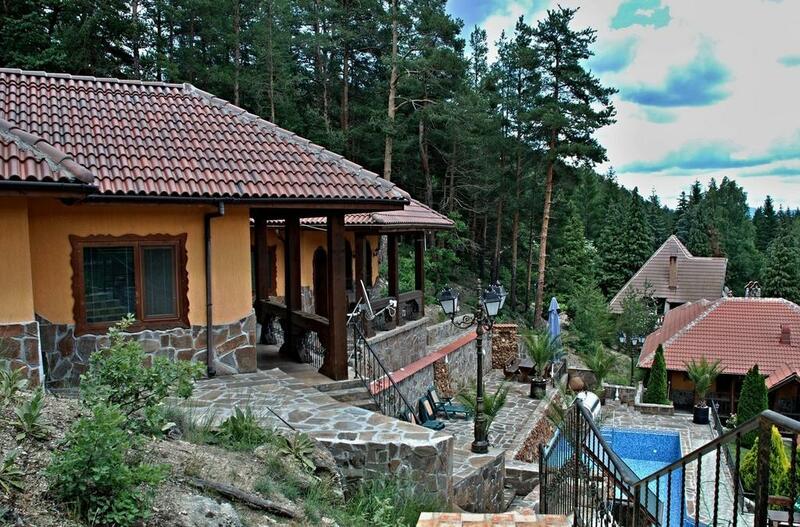 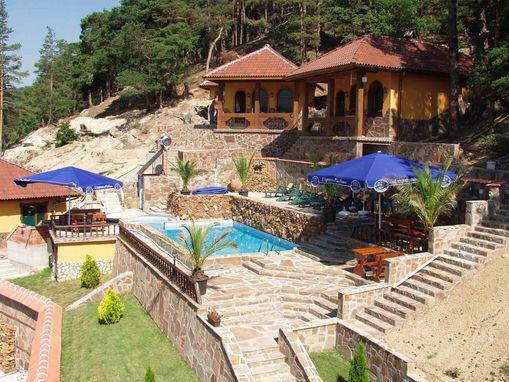 Located in the forest at 750 meters altitude! 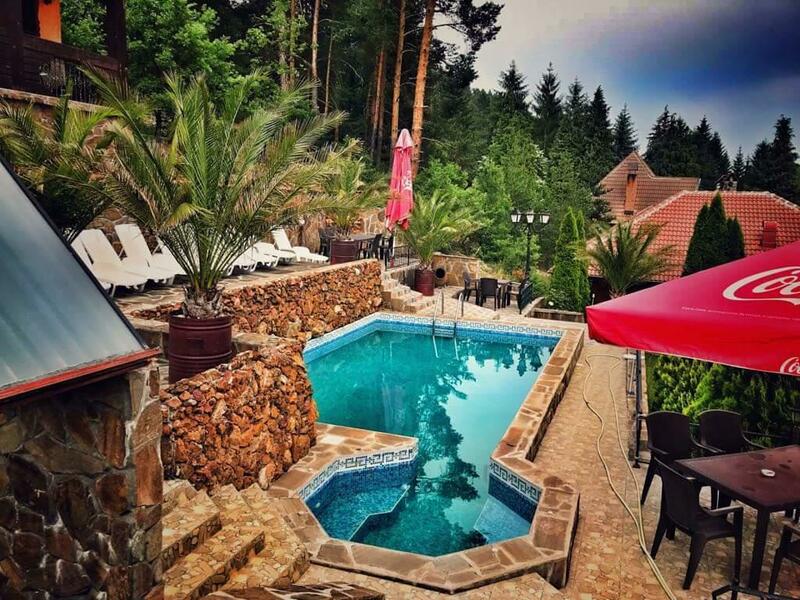 Contains 7 separate houses, three apartments, restaurant outdoor pool spa- Hot tub, sauna, steam room, 4 garages, car wash, two barbecues outside the furnace. 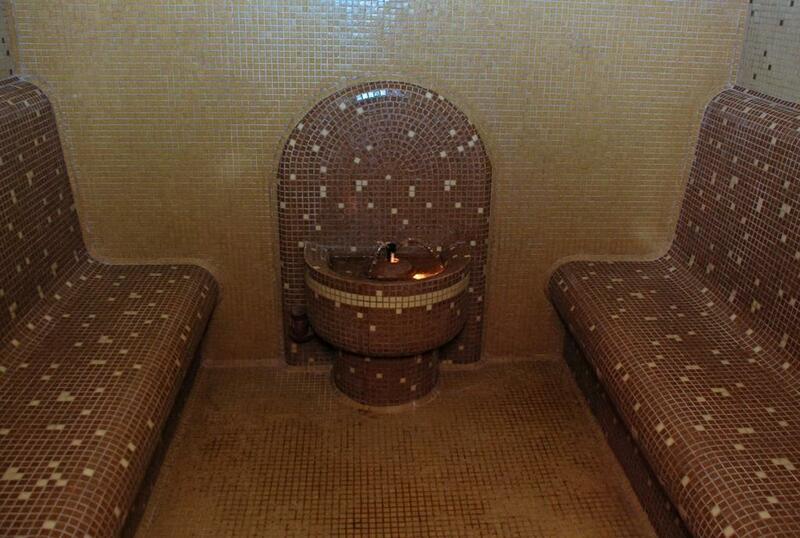 Mineral water! 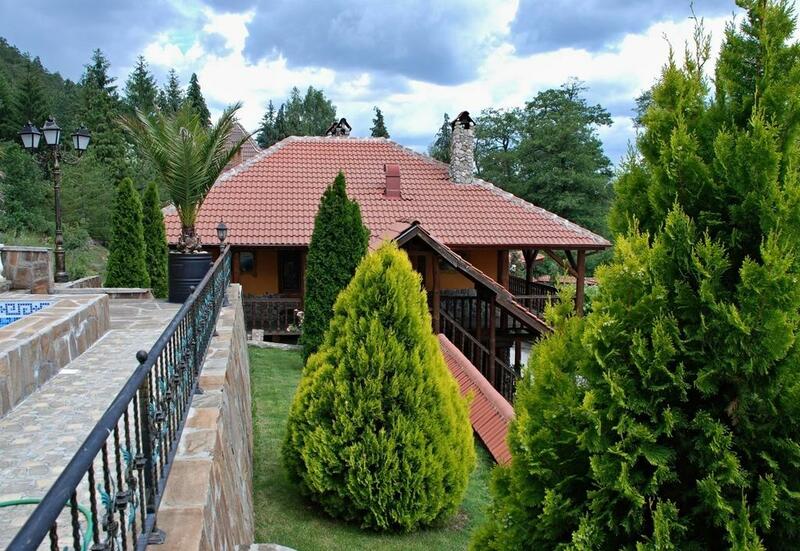 Unique views of greenery and fresh forest air. 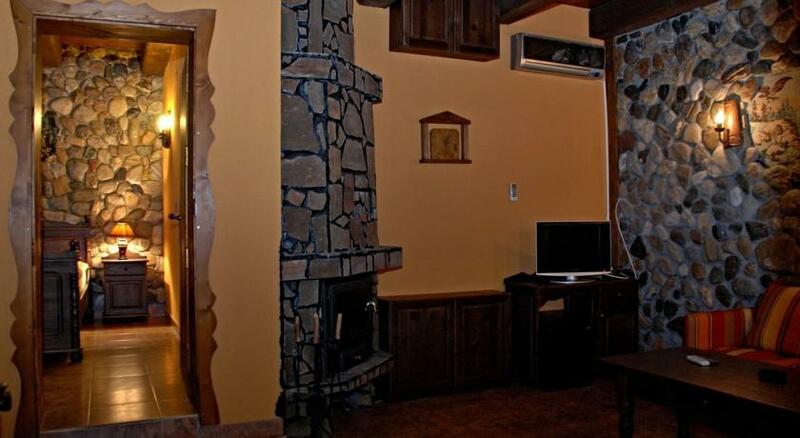 Nearby you can find two locality ski resources! 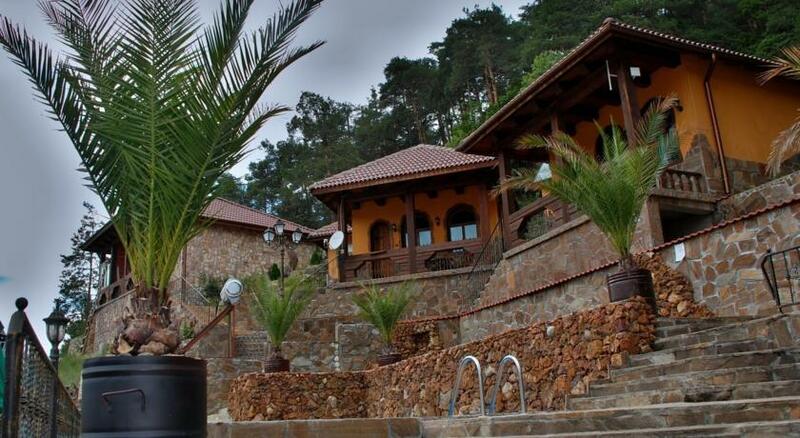 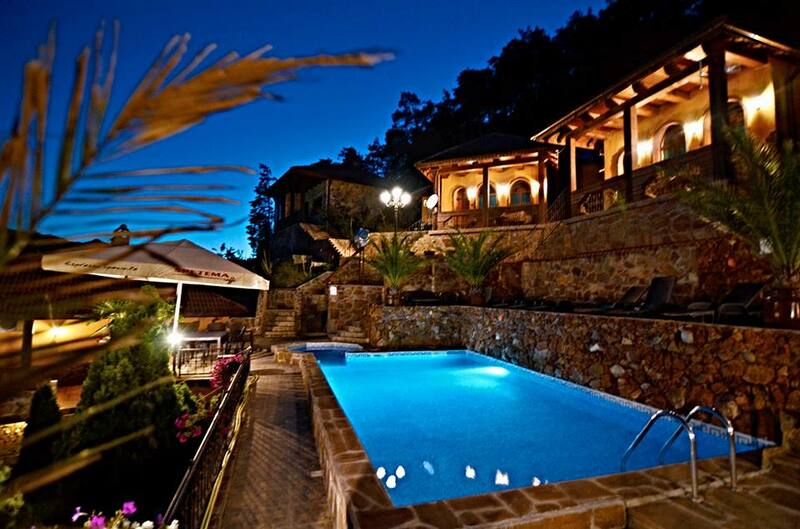 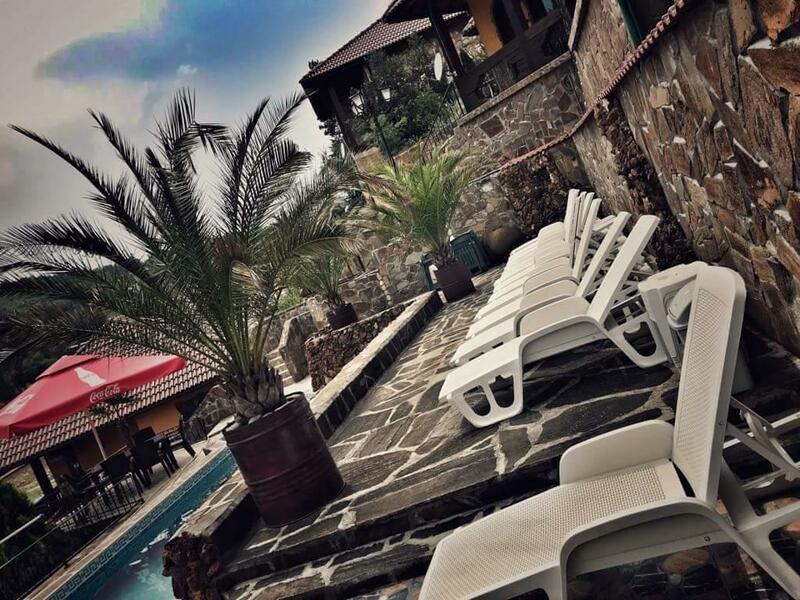 The Karina Resort is set next to a mountain stream in the forested Marbas Area. 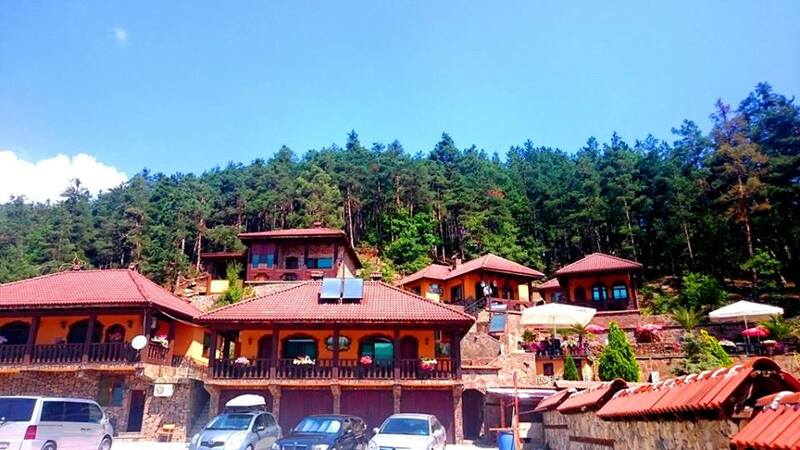 Velingrad’s central train and bus station lies 1.5 km away. 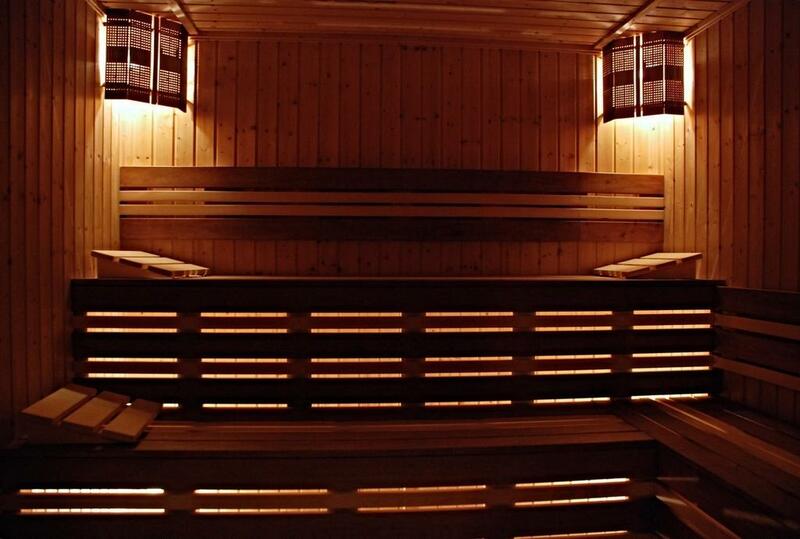 The impressive array of free wellness facilities on offer includes a hot tub, a sauna, and an outdoor swimming pool. 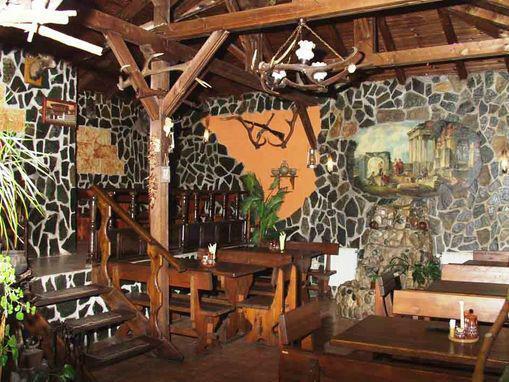 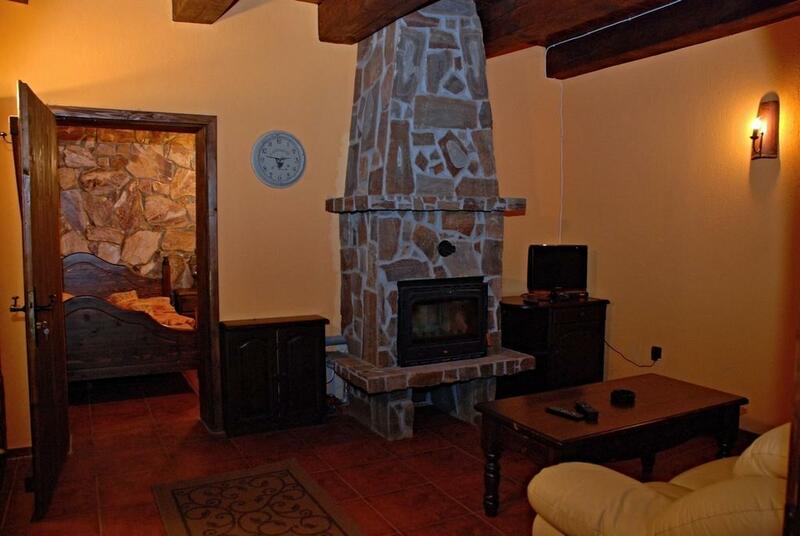 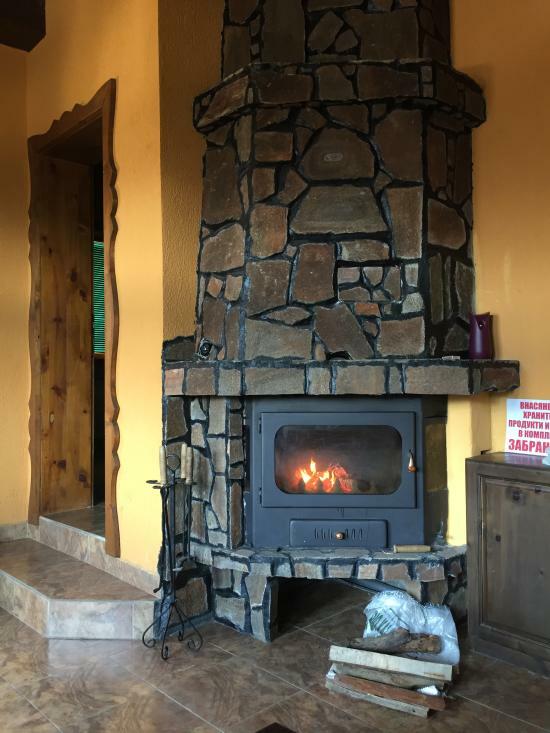 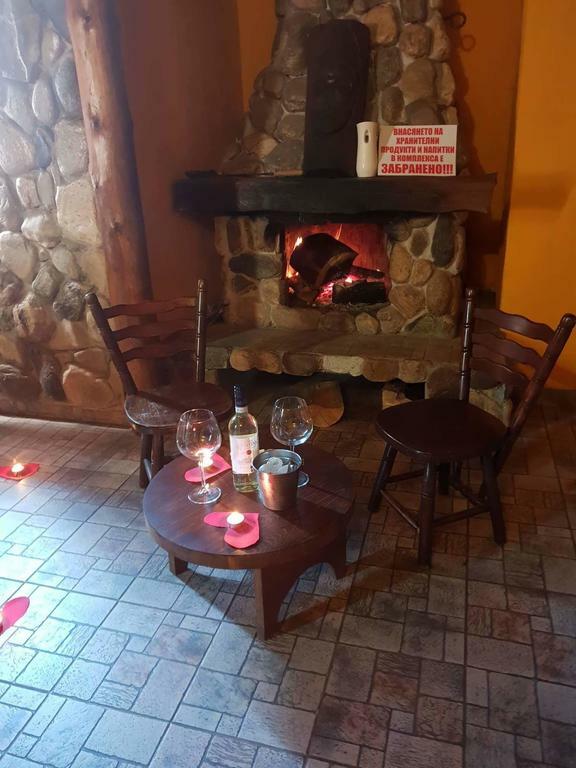 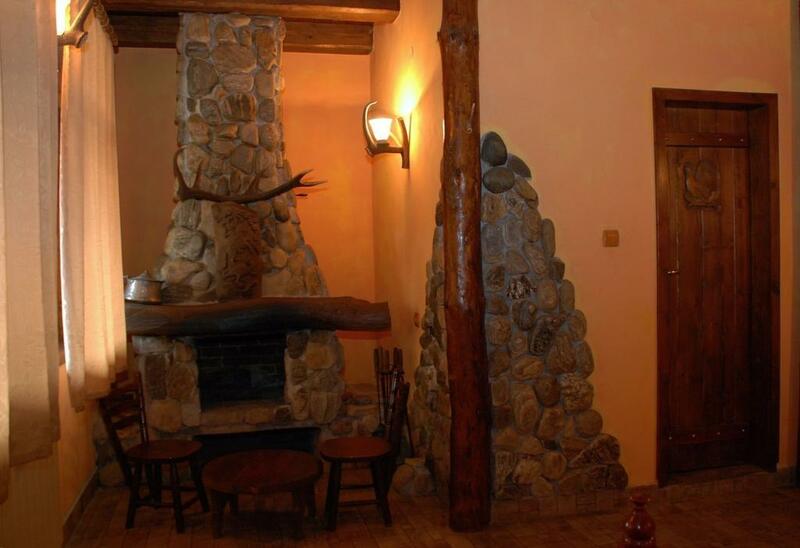 Each of the air-conditioned rooms at the Karina Spa Complex is equipped with free Wi-Fi, a cozy fireplace, and a flat-screen cable TV. 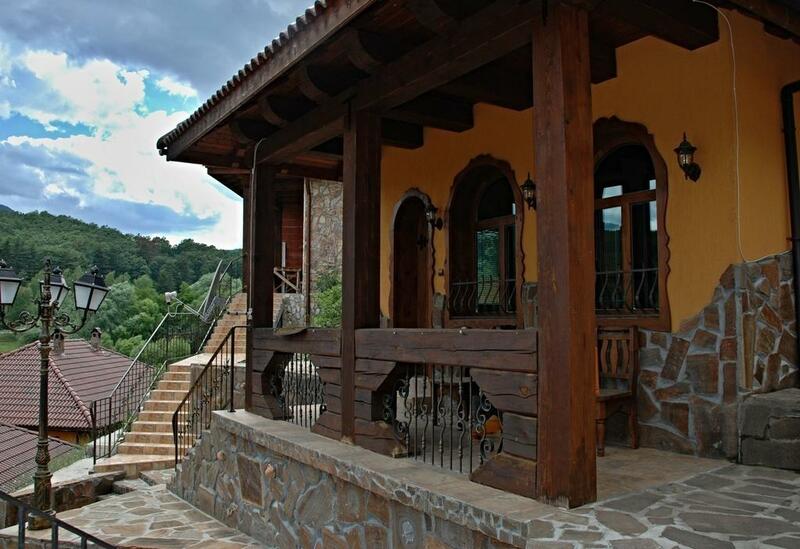 Some also have their own private balcony. 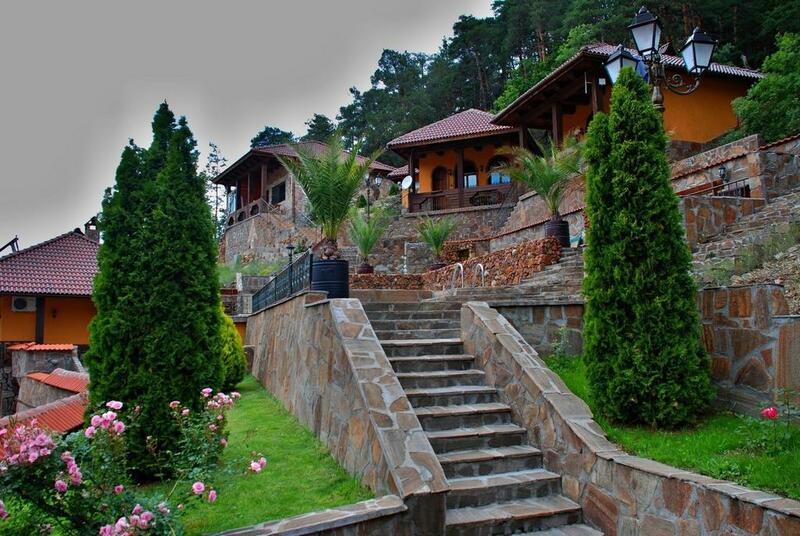 Each morning, breakfast is served in the dining lounge, which also serves traditional Bulgarian dishes. 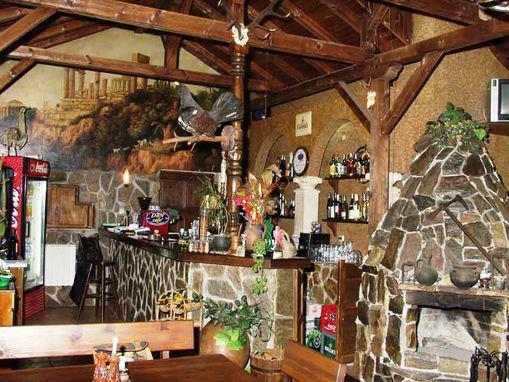 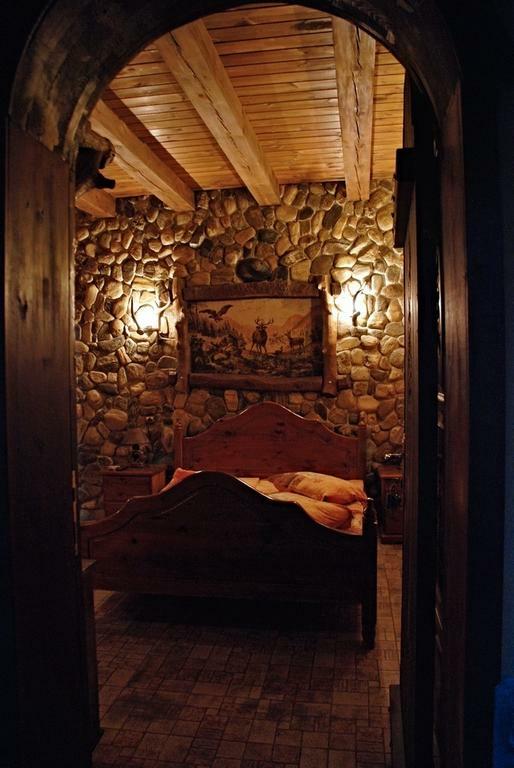 The interior design is characterized by rustic stone walls, carved wooden doors, and wall tapestries depicting hunting scenes. 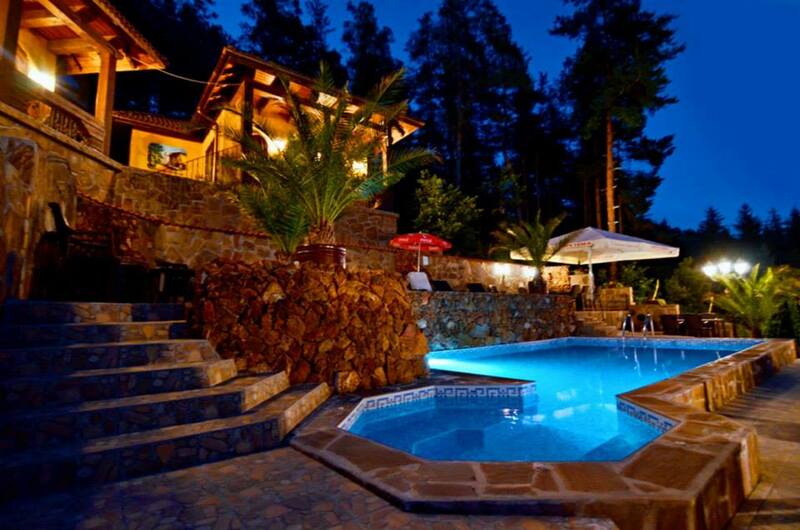 Guests can rent bikes directly at the property to explore the scenic surroundings. 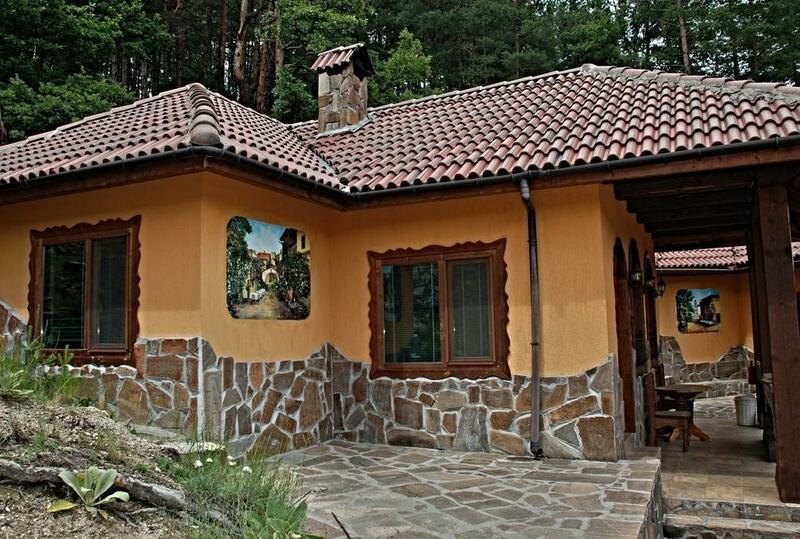 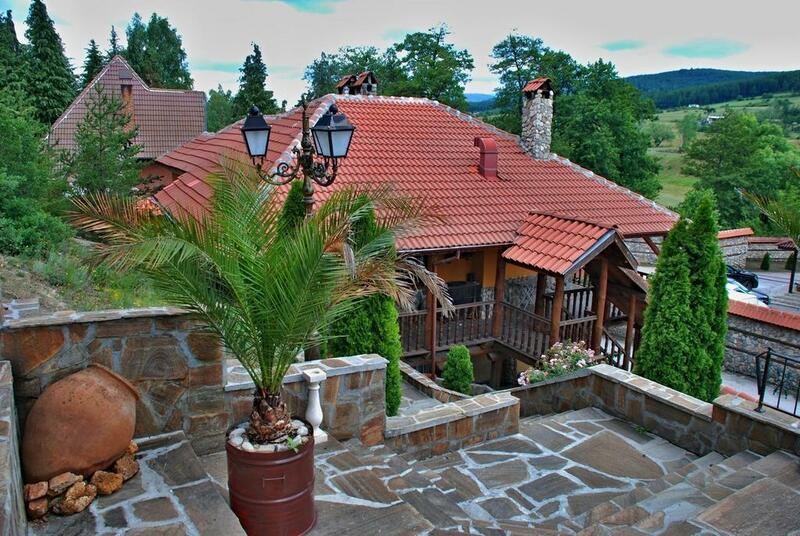 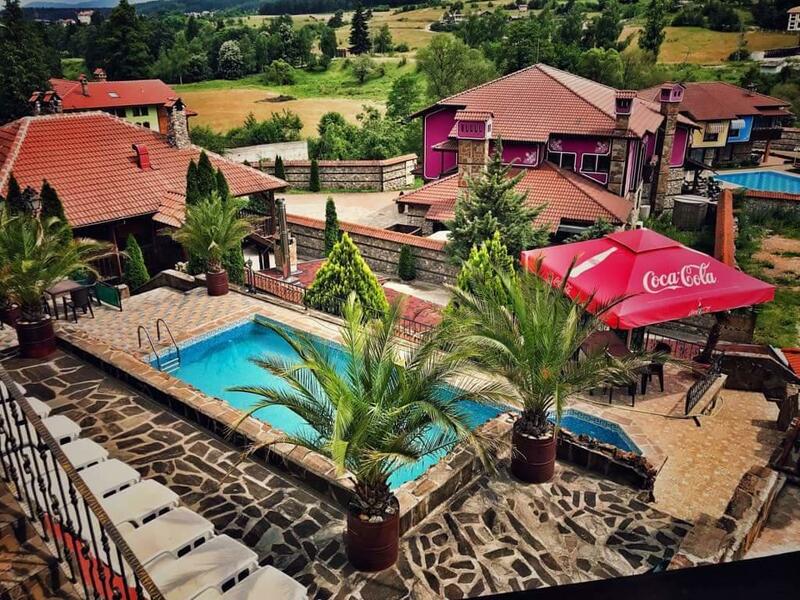 The bustling center of Velingrad is just 1.5 km from the property.